1/2 inch No. 115 buckles at the bit ends and 2 1/2 inch No. 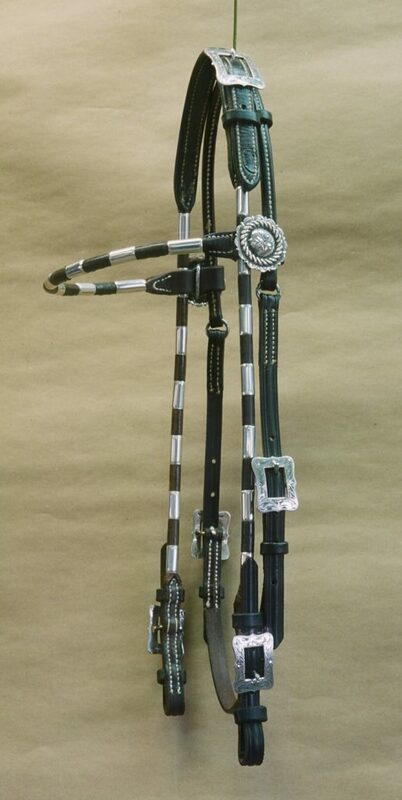 115 buckles on the throatlatchAll hardware is solid sterling silver.Headstall can be made in Tan, Chestnut, Dark Brown, or Black bridle leather.